Heat the oven to 180 degree Celsius. Heat the olive oil with garlic. Once cooked add the spinach with the salt and chilli flakes. Once the spinach has wilted enough, remove from heat and add the artichokes, white sauce and pepper. 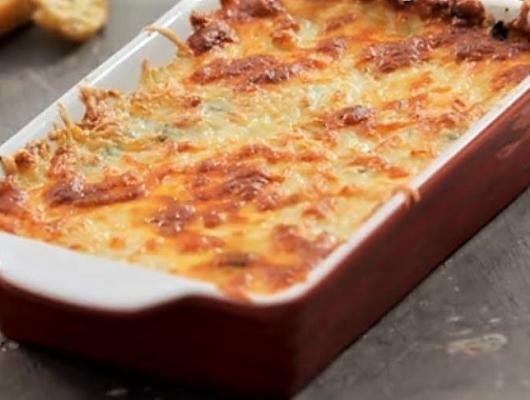 Place the mixture onto a baking dish, sprinkle pine nuts and spread the grated cheese on top. Bake for 20 minutes or until the cheese is bubbling. Serve with chips, toasted baguette or pita. Kick out your food curving with this Delicious Spinach Lasagna Dish it’s a Great and Healthy Meals for all. 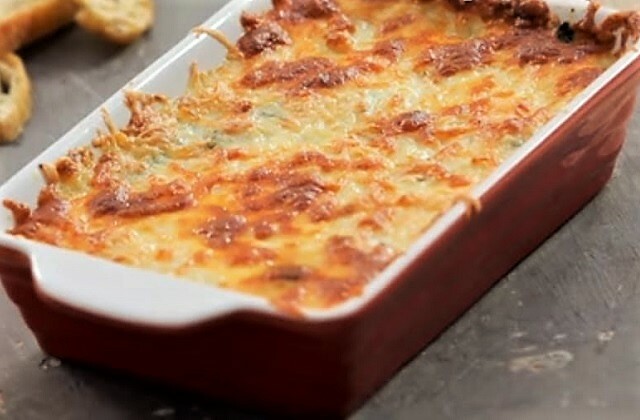 It’s one of the delicious and tasty recipes to make with much ado, it only takes 30 to 35 minutes one can easily make this vegetarian spinach lasagna recipe with this ingredient like white sauce, shredded cheese, artichoke, spinach, garlic, red chili flakes, salt, pepper, olive oil, pine nuts, and nutmeg. Enjoy the taste of Delicious and flavorful dish with toasted bread or tortilla chips.